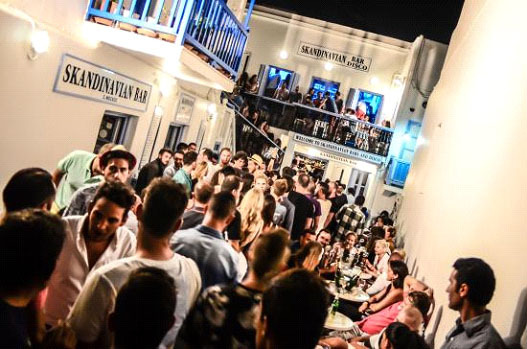 Skandinavian disco-bar was established in 1978 and from then is leading the nightlife of Mykonos till now. It’s an all-time-classic option for those who seek to have their drink and meet new friends, as a lot of young tourists attend the bar. A variety of fine drinks and cocktails are offered there and in combination with the great music selections by the renowned DJs, create the ideal environment for parties and fun nights. Either you prefer to dance on the dancefloor or drink a fancy cocktail and relax, Skandinavian disco-bar is a great place from the early night until the early morning!